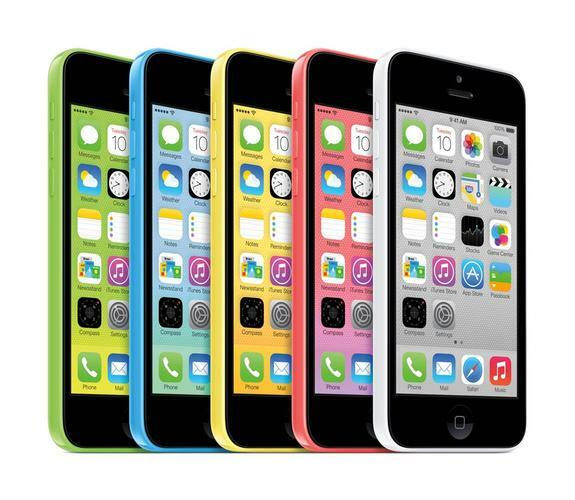 According to a report from The Wall Street Journal on Wednesday, Apple has cut iPhone 5c orders from assemblers and component partners by up to 50 percent, while increasing orders for the 5s. But don't go shouting "Apple's plastic iPhone is doomed" off the rooftops just yet--this is fairly normal behavior from our friends in Cupertino. The Journal's article is an interesting read, if you're really interested in the complexities of component shipping, take a few minutes to glance it over. For those of you who don't have the time or frame of mind to process a bunch of numbers and analyst quotes, here's the skinny: Apple reputedly told two of its iPhone 5c suppliers, Pegatron and Hon Hai, that it planned to cut 5c holiday-quarter orders by less than 20 percent and one third respectively. The company also supposedly notified an unnamed component supplier that orders for 5c parts would be cut by 50 percent. At the same time, however, Apple has apparently increased orders for the iPhone 5s at Hon Hai. These numbers are significant changes, to be sure. But while Hon Hai and Pegatron will likely take some losses from the reduction in Apple's business, they're the ones who should be overly concerned over this change--not Cupertino or its watchers. Why isn't Apple doomed? Well, several reasons--nine million of them, in fact. Those iPhones sold over the launch weekend are a good starting point; so impressive were the sales that the company filed a form with the SEC stating that it was upping the revenue and gross margin forecast for its fourth fiscal quarter. Now, Apple doesn't break out its sales numbers for individual models, so we have no way of knowing which of the new iPhones carried the bulk of that 9 million unit load. But all indicators seem to point to the 5s: It's still incredibly hard to find, with all models showing an at least 2-3 week shipping time on the company's website. And as the Journal mentioned in its story, Apple seems to be increasing orders for the 5s, likely to compensate for its current constraints. Isn't it bad that the 5c isn't selling as well? Not necessarily. This is Apple's first experiment with selling a new cheaper iPhone build in lieu of just marketing last year's model; even with CEO Tim Cook's component expertise, it would have been surprising if the company perfectly predicted how many units of each they'd need. And given that "iPhone constraint" isn't exactly a phrase the average consumer likes to hear when they show up to buy a new device, it makes perfect sense that Apple might have opted to have its suppliers' production lines ready to make more of the cheaper iPhone 5c models during the first quarter of its availability. Now that the quarter has concluded--its financials are set to be delivered on October 28--the company probably has a better projection of how many iPhone units (and which models) it needs to fulfill demand. As such, a component adjustment of some sort seems like a no-brainer, especially with the holiday quarter kicking off. Yes, I'm sure Apple would have been happy if it were ordering as many iPhone 5c models as it projected to its suppliers. But keep in mind that we don't know just how many units the company ordered in the first place--and looking at Apple's incredibly high opening sales numbers, I'm inclined to think that unit number was far higher than it would have been for the continuing production of last year's model. (Especially considering the company's plan to roll out iPhone 5s and 5c models to more than 50 countries on October 25.) So if Apple hypothetically placed an order for 50 million iPhone 5c models and had to dock that by a third, that's still 35 million devices--8.1 million more than all iPhones sold in the year-ago quarter. And that wouldn't even account for iPhone 5s sales. For now, though, all we can do is speculate until the October 28 financial call, where I wouldn't be surprised to hear more info from the company on supply chain changes during CFO Peter Oppenheimer's opening remarks or in response to analyst questions. In the meantime, don't worry yourself too much over high-level business transactions--the company is doing what it thinks is best to keep margins high and stock properly balanced.